The highly anticipated return trip to Nigeria of the First Lady, Mrs. Patience Jonathan, has again been canceled by her hospital in Germany. 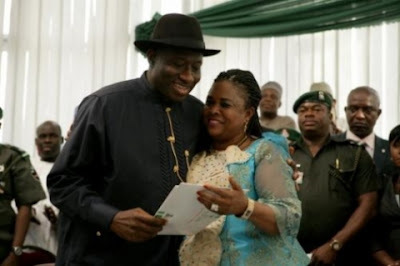 The Presidency has replaced security aides around first lady Patience Jonathan in order to keep her affairs private at the Wiesbaden, Germany hospital, Horst Schmidt Kliniken, following speculations about her health, TheWill can report. A security source with knowledge of the development told TheWill that the Presidency’s action followed reports of her medical sojourn to the hospital, believed to have been leaked by someone amongst the team of six aides dispatched to Germany ahead of her arrival. The aides were withdrawn and replaced with a new team of six security aides from the SSS, our source said, adding that when the replacement team, made up of more experienced and trusted aides arrived Germany, they were stripped of other phones and directed to stay off the social media and the internet. A spokesperson for the Horst Schmidt Klinik in Wiesbaden, Germany has revealed that the First Lady, Dame Patience Jonathan was in a bad state of health when she arrived at the hospital last week. 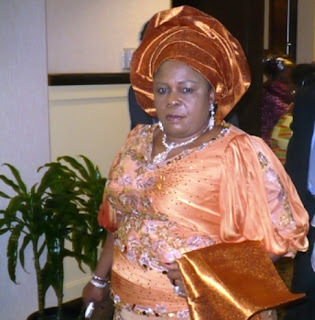 The hospital’s official, who confirmed that initial records showed that Mrs. Patience Jonathan had earlier been treated for food poisoning in Nigeria before being brought to the Horst Schmidt Klinik, however, said she was responding to treatment after she had undergone a major surgery for a ruptured appendix to remove the poisons in her intestine.